Inspired by Gear Nights in Berlin, on July 9, 2011, a group of 12 men gathered at Austin's only leather bar, The Chain Drive. They had a great time celebrating in gear with cigars and beer out on the back patio. It was such a great party that they decided to make it a regular thing. From that genesis, Gear Night and the Austin Gears was born. 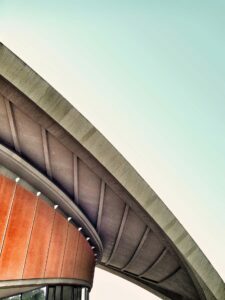 The Austin Gears Council established our by-laws and charter in August, 2012. This is the poster that inspired 12 men to the bar in their gear in 2011. Created by DJ Kelly. We are the first and oldest, regular Gear Night in the United States. As bars have closed, we have successfully made the transition to others. We have held our celebration at Chain Drive, Badlands, and now Iron Bear. It's always a great crowd. We started a Mr Leather/Gear contest in 2013 and have sent 4 of the winners to IML (International Mr Leather). This was the 1st poster for the 1st official Gear Night. Created by DJ Kelly. 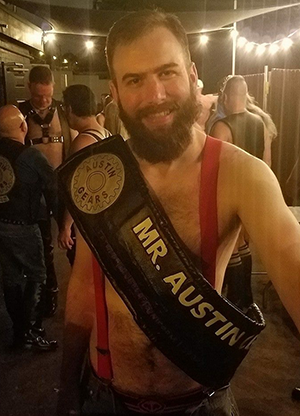 Starting in 2014, we held a Mr Austin Leather contest and a Mr Ausin Gears contest. The man selected represents Austin Gears throughout the year at Gear Night and various charity events in Austin. In 2016, we decided that Mr Austin Gears could serve for both. The winner may take the title to IML, MIR, IPAHA, or whatever gear title they wish. 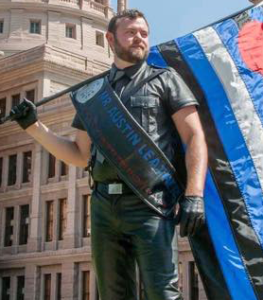 We have had 4 of the winners take the title to IML joining other other title holders representing other cities across Texas.